US student Gianny Sosa, 18, went viral after allegedly trying to use a dangerous wrestling move on his headteacher. The move is not just some regular move seen in the movies - it's actually Randy Orton's RKO. The Typical Student team learned the details of the incident. 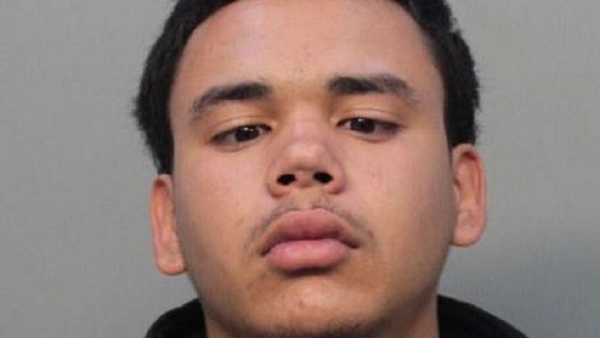 According to the report of Miami-Dade Police, Gianny Sosa faced charges for attacking the Southridge Senior High School headteacher. Sosa attempted to pull off the RKO move on headteacher Humberto Miret in a school hallway. The incident was caught on the school CCTV and went viral online. How Does Gianny Sosa Explain His Attack On Headteacher? After he was released from jail on bond, Sosa provided an explanation of his actions: "What I did, it wasn't intentional. I wasn't trying to hurt nobody." According to what Sosa said, the headteacher then took him "into a private classroom with no cameras and continued to use force." The student said the headteacher "had joked around before." During the first court hearing Thursday morning, his defense attorney Roy Ugarte said the arrest report was "hands down one of the most insane" he'd ever seen. The attorney then explained there's a difference between pro-wrestling (WWE) and Greco-Roman wrestling. He also pointed out that pro-wrestling is the one "staged for entertainment purposes." In the attorney's opinion, a US student "should have been placed in detention and not arrested." Apart from the arrest, a student's lack of judgment will result in disciplinary actions in accordance with the school's Code of Student Conduct.